Five weeks after I set a PR in Houston, I ran another marathon. This was marathon number seven, and the first time I’ve done two marathons this close together. (Last year, I had eight weeks between Cowtown and Oklahoma City.) I took two weeks to recover, a week with a 16 mile long run, and two weeks to taper – with a trail race in there too. I didn’t worry too much about my mileage, but I wasn’t sure how my body would react to the distance again so soon. I made sure to get plenty of rest during race week with 9:30 bedtimes. 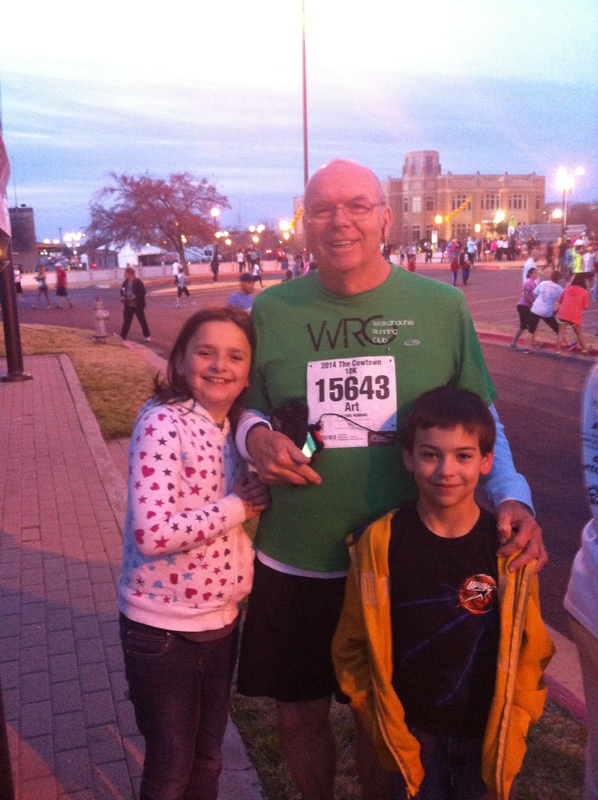 I started off the weekend going to Fort Worth to watch my dad run the Cowtown 10k. This is the guy who a year ago said he would never run more than a 5k. Saturday was his third time at the 10k distance. I took the little ones with me, because they were going to hang out with Grandpa and Grandma the rest of the weekend. Ready to cheer on Grandpa! These two are not ready to cheer/wait around for a marathon, or even a half. We picked up my packet and perused the expo while my dad was running. I don’t know what happened to my sweet kids, but they got the gimmes as soon as we went in the building. 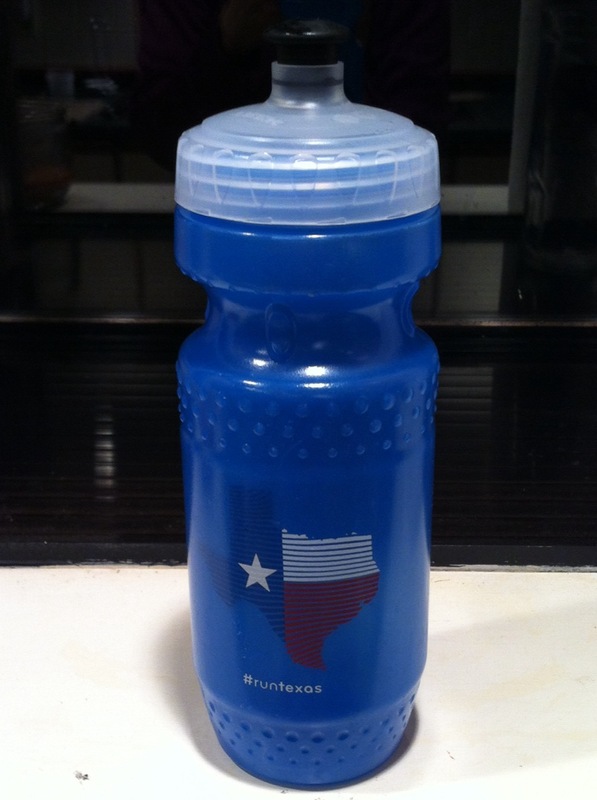 Thank goodness for the Dannon and Clif Kids freebies to take care of the “I’m hungry” lines. We found the Nuun booth and I stocked up on some new flavors. I love these bottles. Then we headed out to watch my dad finish with a great time. Sunday morning started early. After checking my weather app, I knew a tank top was the way to go. Leave it to Texas to have three or four weeks of temps in the 20s and then throw some 70 degree days in there on race weekend. My husband became my gear bag check as usual, and my dad came out to cheer me on too. The course can be pretty tough if you don’t plan for the hills. There are a couple of big ones early on, and then smaller ups and downs throughout. I hit the halfway point at 1:59 and thought if I could just hold steady, I would hit my goal. When I saw my dad near mile 16, I was struggling, and I said so. I knew at that point that I wouldn’t nail my sub 4 hour goal. I had cooked my goose and ran too fast for the humidity. After a few marathons in heat, I can tell when the temperatures are going to affect me, but I was stubborn early on and that was my downfall. Sigh. 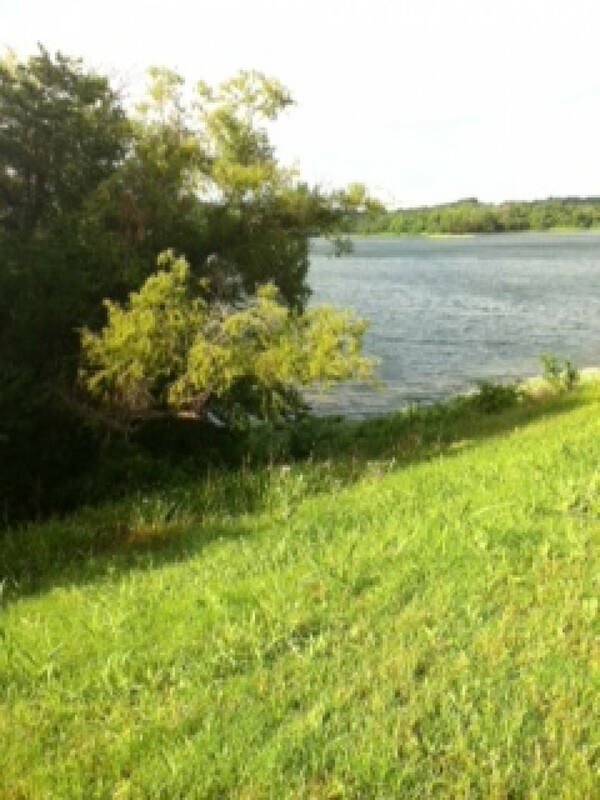 In the last six miles I walked up the hills and ran down and fought to keep my pace under 11:00/mile. I’m still surprised my finish time was under 4:20 with the walking. My official time was 4:12:36 and any marathon finish is a win in my book. 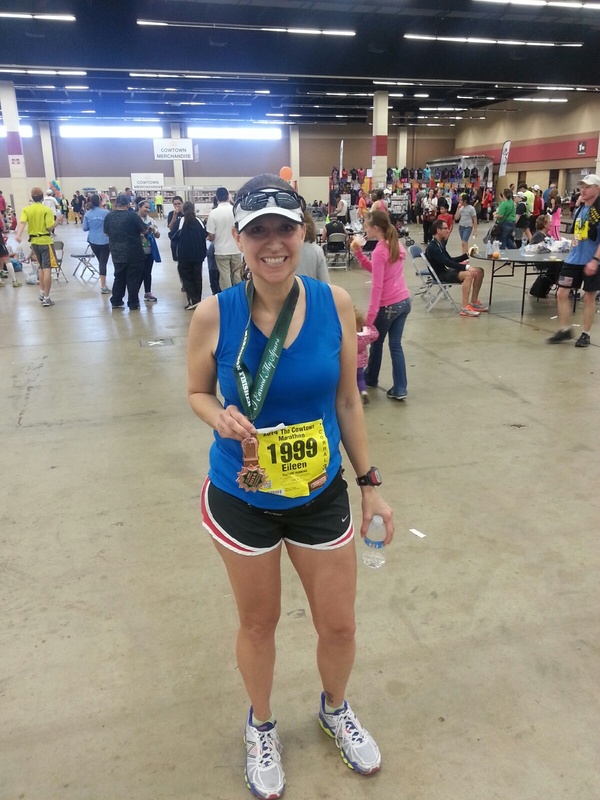 I won’t even talk about the monster blister and chafing issues I discovered after the race. A couple of things caught my emotion at the race: 1) a man with a sign pinned to his back that said “40 chemos and still running” 2)seeing a few runners with Boston Marathon jackets on along the course cheering on runners and 3) heading back to the car (along the half marathon course) and seeing a man finishing his 36th Cowtown. He’s run every one of them. I am always amazed by others in this community of runners, and that’s what I want most out of running. Not just a fast time, but a lifetime – to run. 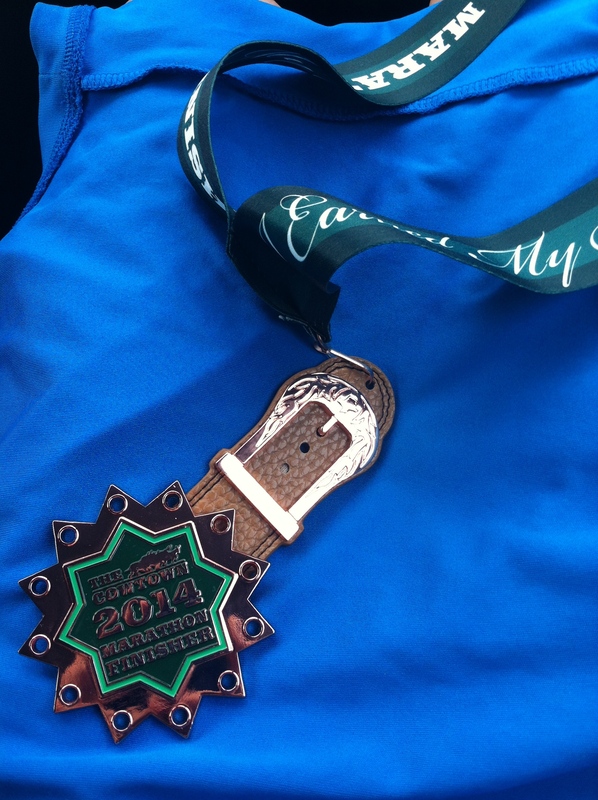 Cowtown does a medal right!